Why Hire Us? - Scoop Up Poop - Orange County's BEST Pet Waste Removal Service! 1) Busy people just don't have time. Two-income families, single-parent households, executives and professionals work long hours; and these people are terribly pressed for time. In the precious little time they do get for themselves, there are a great many things they would rather be doing than scooping up dog or cat poop! 2) Physical limitations reduce people's ability. People with assistance dogs, those who are ailing or recovering from surgery, elderly people, and other pet owners with limited physical abilities all need help cleaning up after their animals. 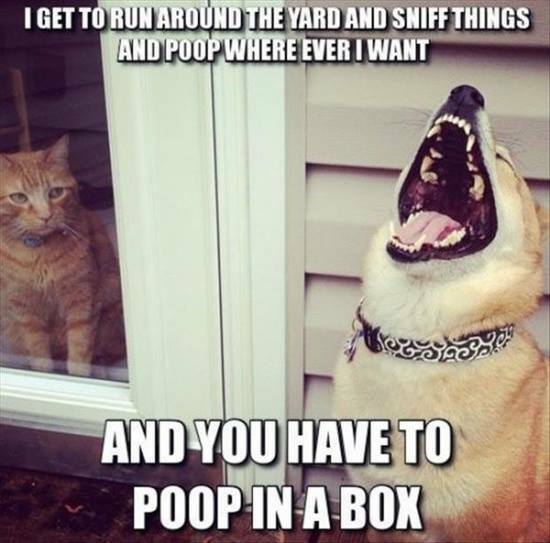 For many of these animal lovers, the availability of a pooper-scooper service to clean up their yards and cat boxes on a regular basis can be the difference that allows them to keep a beloved animal in their lives! 3) "The Repugnance Factor. ": This is the big one! There are plenty of pet owners who have free time and enjoy good health, but who still appreciate the fact that they can call on a service to clean up after their pets. As one customer told me, "Some things you do for yourself, and some things you pay to have done." It's just one of those necessary chores so many people simply prefer not to do, and many of those people are delighted to have us take care of the problem for them. In fact, we have had many happy clients tell us how grateful they are for this service! Because we are Orange County's Top-Notch Scooping company and your satisfaction is 100% guaranteed! We help enrich your lives by saving you from wasting time scooping up poop!